I have a few notes to share from the 2017 Grand Tasting. This tasting is held annually in a large tent at Goldeneye’s Confluence Vineyard in Philo. It is a highly popular affair, with good times had by all, but not ideal for serious wine tasting. That said, I had some impressions. Pangloss Cellars is based in Sonoma and the winemaker is Erich Bradley, well-known for his highly-lauded Pinot Noirs from Sojourn Cellars. The winery is named after Dr. Pangloss, the eternal optimist in Voltaire’s novel, Candide. The wines (Sauvignon Blanc, Chardonnay, Pinot Noir, Cabernet Sauvignon and Zinfandel) are made at the winery’s facility at Moon Mountain Vineyard (the old Chalone property) and only available at the Pangloss Cellars Tasting Lounge in Sonoma. I tasted the 2014 Pangloss Anderson Valley Pinot Noir, the 2014 Pangloss Charles Vineyard Anderson Valley Pinot Noir and the 2015 True North Anderson Valley Pinot Noir. The wines were solid, with the True North bottling being the most rustic and savory. These are wines of interest. Visit www.panglosscellars.com. Texture Wines are more high-end offerings of Pinot Noir and Chardonnay also crafted by Erich Brandley at Moon Mountain Vineyard. Erich is focused on mouthfeel in these wines. In the case of Pinot Noir, that means fine tannins balanced by tangible acidity. With Chardonnay, lively tension and persistent minerality. The first vintage was 2012. I tasted the 2015 Texture Anderson Valley Pinot Noir (Deer Meadows and Ferrington vineyards), the 2015 Texture Ferrington Vineyard Anderson Valley Pinot Noir and the 2015 Texture Deer Meadows Anderson Valley Pinot Noir. The latter two wines were among the most outstanding that I tasted at the Grand Tasting. The Ferrington was more fruit driven with an array of dark fruits and an incredibly long finish, while the Deer Meadows, with a low ABV of 12.8% and large whole cluster inclusion was more aromatic and savory in a “Burgundian” style. These are wines of great interest. They are sold exclusively through a mailing list at www.texturewines.com. Intimate, comparative tasting is available in an elegant tasting salon in a 115-year-old building on the Sonoma Square. Seasonally inspired food pairings are prepared by a culinary manager to complement each wine. By appointment only. Ted Lemon continues to offer magnificent wines from the Anderson Valley. In the rush to seek out the newest producer, Littorai may not receive the recognition it is due. Several 2014 Pinot Noirs were offered for tasting and they all showed tremendous potential. Ted’s wines usually are not flashy at an early stage, and these wines clearly need a few more years in the cellar. 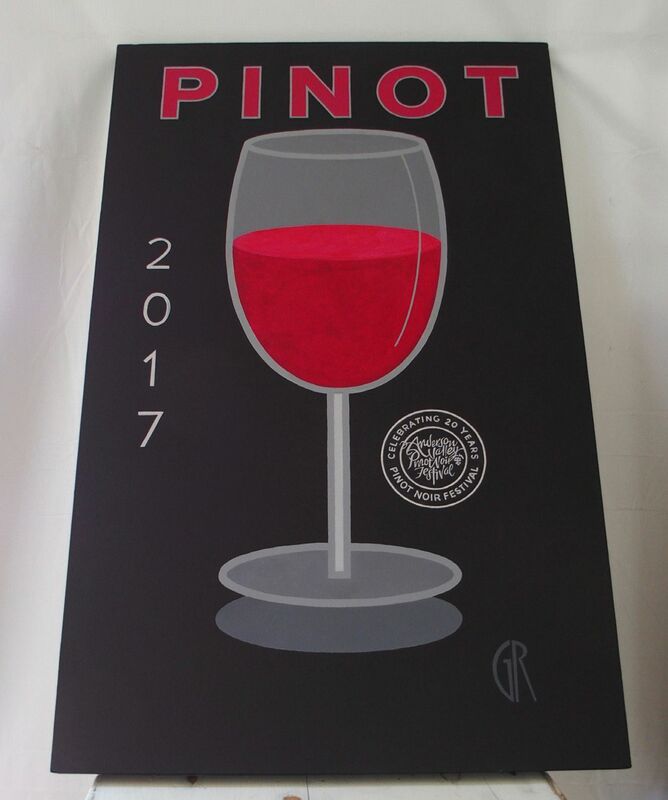 The 2014 Littorai Roma’s Vineyard Pinot Noir was the lightest in weight, featuring red fruits and harmonious acid-tannin balance. The 2014 Littorai Savoy Vineyard Pinot Noir was a very pretty wine, with more concentration, more charm and polished tannins. The 2014 Littorai Cerise Vineyard Pinot Noir was typical for this vineyard with a grudging core of fruit and muscular tannins. 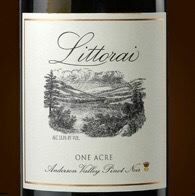 The 2014 Littorai One Acre Pinot Noir was the most seductive, oozing charm and nuance even at this early stage. Littorai wines are sold exclusively through a mailing list at www.littorai.com. A Single Vineyard Tasting and Gold Ridge Estate Tour & Tasting are offered by appointment.